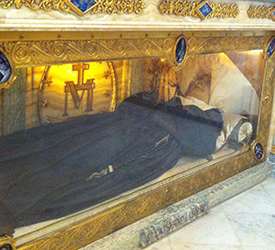 What is an incorrupt saint? 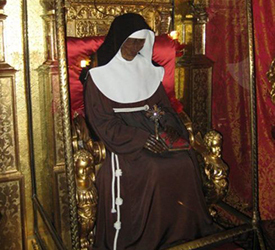 In the realm of Catholicism, an incorrupt saint is one whose body experiences little, no, or delayed decomposition after death. 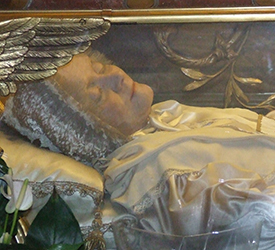 It is believed that divine intervention has allowed a number of human bodies to forgo the normal decomposition process as a symbol of the deceased’s holiness while alive on earth, and can also be perceived as the person’s mortal remains being prepared for the resurrection of the body at the end of time. When a body is exhumed for examination and judged incorruptible, they are generally seen as a saint, although the state of incorruptibility no longer is counted as a miracle towards an individual’s cause for sainthood, as it was in the past. When determining incorruptibility, the body is inspected by a medical official, relics are retrieved and sent to Rome, and the inspected body is sealed with wax to preserve the state that the body was originally found in.  It is important to note that the state of being incorrupt hinges on putrification. 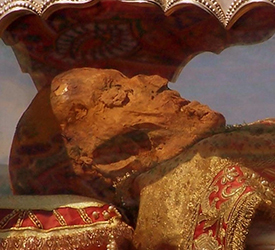 Not every saint who is judged incorrupt looks like they just walked the earth yesterday. 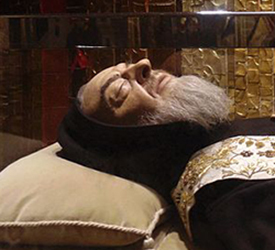 Many saints only contain certain organs that have not experienced the effects of decay, or a certain body part that managed to stand the test of time and death. Some of the bodies even emit a sweet or floral fragrance. 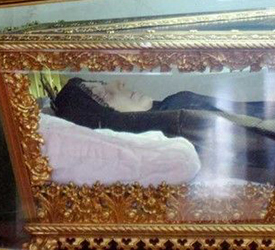 In some situations, an outsider might not even consider an incorrupt saint to have really been spared the process of decomposition, until they realize that a body that is still in existence is over several hundred years old and should in reality be dust by now! 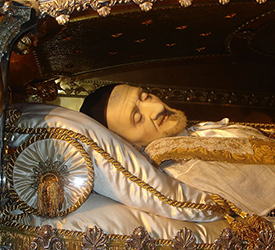 Many early saints who were exhumed and found incorrupt were consequently put on display for the devotion of the Catholic faithful, and as a result, many were damaged by exposure to the elements of their surroundings. Exposure to light, smoke, and flame caused some to appear sunken, discolored, or otherwise unsightly to the pilgrims who travelled to fulfil a devotion to a particular saint. In order to remedy those situations, or keep them from occurring again, many incorrupt saints are given wax masks or coverings so that they remain protected while they are on display for veneration. 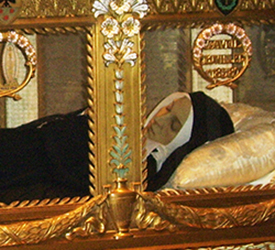 As a result, many incorrupt saints displayed today look like they are merely sleeping, when many haven’t walked the earth in nearly a century. 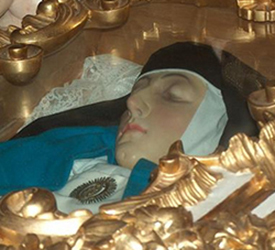 Which saints are incorrupt and where can I find them?